Once you have Control installed, you will need to go through the various options in the Setup Menu; you can refer to the Control Setup Guide for help with these. Generally, these options are handled by the system administrator. You will need to setup your company's chart of accounts. Your account listing can be as detailed or as simple as you would like. 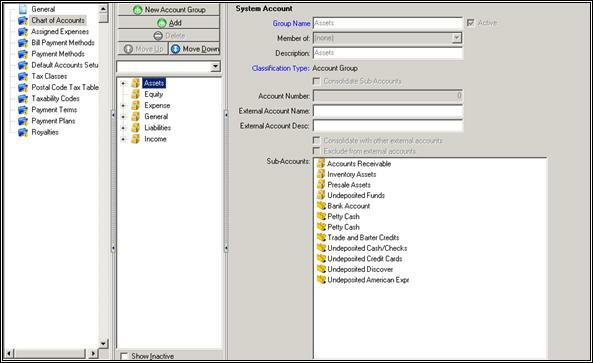 To enter accounts, go to Setup > Accounting Setup and choose Chart of Accounts in the list of options. Click New Account Group to add a new group under one of the main groups (Assets, Expense, etc. ), or Add to add a new sub-account item to a main group. 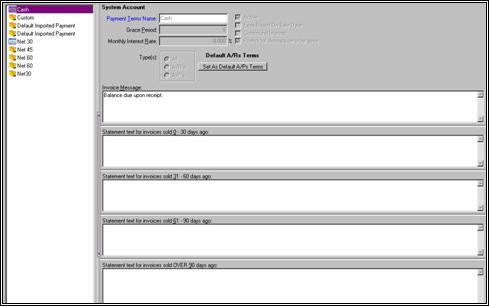 Delete will delete an empty account group; main account groups cannot be deleted. If you want to remove an account from the list, you can either uncheck the Active checkbox next to the account name field, or click Delete for that account. You will then be asked to choose a GL account to reassign existing entries to. You can also move items up or down, but you cannot promote or demote items in this listing. If you click on the main group item, you can see a listing of all sub-accounts in that group on the right side of the screen (shown below). You will also need to setup payment methods (for accepting payments) such as Visa, MasterCard, or check, and bill payment methods (for paying bills) such as cash, check, or company credit card. There are bill payment methods already setup in Control; these are Cash and Check. To setup new bill payment methods, go to Setup > Accounting Setup and choose Bill Payment Methods. Click the New button on the right side, and fill in the name in the Text field, such as Company Visa, a description if desired, the Tender Type, and Payment Account. You also have the option of setting a method as the default method of payment. Control comes with cash, check, Visa, MasterCard, Discover and American Express setup for you in payment methods. To setup a new payment method for accepting payments, go to Setup > Accounting Setup and choose Payment Methods. Click New to add a new payment method, such as Wire Transfer, give it an account name, description if desired, and select the Group Name it would fall under. You can then select the appropriate Undeposited Funds Account, the Default Bank Account, the Tender Type, and Max Change. Finally, you have the option of assigning an image to that payment method, which would appear in the Payment Entry screen. Tax accounts are the different counties, cities, and states and their applicable tax rates. For example, one tax account in your system may be named Orange County Florida, with a tax rate of 0.500 % and a tax cap of 0%. Tax classes are assigned to companies to help ensure that they are being taxed at the correct rate. Currently, the choices in Control are International, Online Lookup, and Tax Exempt on File. International is selected for companies outside of the United States. 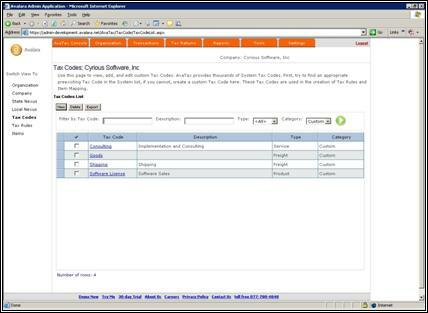 Online Lookup is selected for companies inside the United States. Tax Exempt on File would be selected for non-profit organizations and the like. All customers will have a Default Tax Class of either International, Online Lookup, or Tax Exempt on File. International customers will not pay sales tax, as well as Tax Exempt customers, but these types of customers will probably be in the minority. The Online Lookup tax class will apply to all of your U.S. customers. You will just need to set your company up to use Avalara AvaTax to access this service. The steps to do this can be found below. Avalara provides an online tax calculation service, and we have integrated their service to run through Cyrious Control if you have an AvaTax subscription. 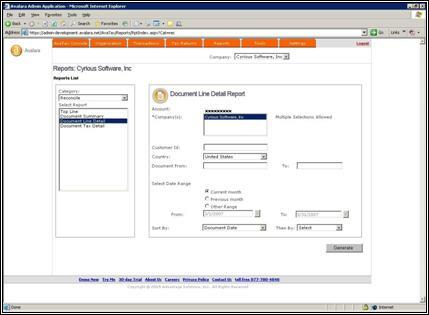 When using online lookup, Cyrious Control utilizes an external service for determining the appropriate tax rates. You will need a subscription to Avalara AvaTax service to utilize this feature. 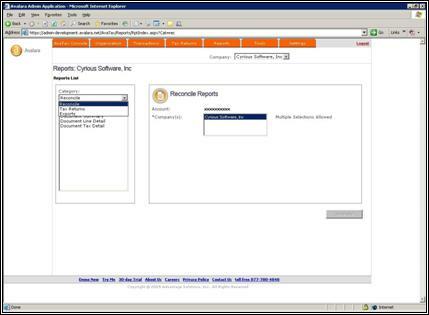 For more information on subscribing to this, contact Cyrious Software Technical Support. Goods: Use this taxability code for tangible products that are manufactured items. This corresponds to the AvaTax code “Goods”. Services: Use this taxability code for intangible products such as design, consulting, training, etc. This corresponds to the AvaTax code “Services”. Resold Items: Use this taxability code for tangible products that are purchased for resale. This corresponds to the AvaTax code “Resold Items”. Shipping: Use this taxability code for shipping and freight products. This corresponds to the AvaTax code “FR020100”. Installation: Use this taxability code for installation related charges. This corresponds to the AvaTax code “Installation”. Of course, you can add more taxability codes. For users of earlier versions of Control 3.x that had tax exemptions set up for specific products (such as Installation in Canada), Control will automatically create additional Taxability Codes for each of these. To set your company up to use AvaTax, you will need to log into your account on their website at https://admin-development.avalara.net/. After logging in, click on the Organization tab at the top of the window. Create an account and set the Company Code. The Company Code will be needed for Control to use AvaTax. 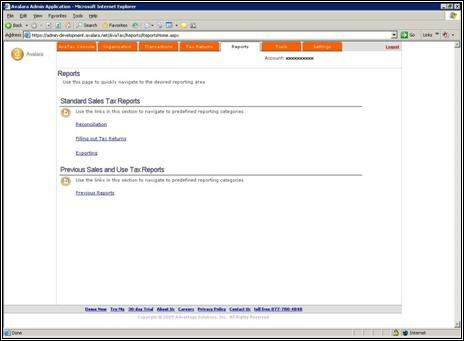 On the Organization page, click the button under the State Nexus column. 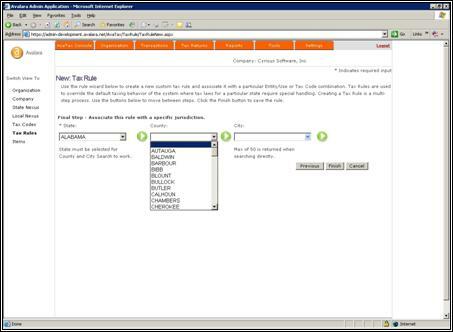 Select the states that the company will retrieve the online taxes for, and click Save to save the changes. Some states have special taxes for different counties. 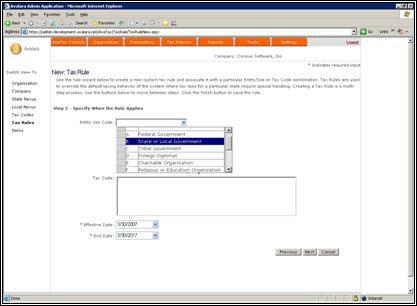 All special taxes that must be accounted for must be manually selected in AvaTax. For example, Georgia has special taxes for Appling County, so the following steps would need to take place to ensure your company is setup to correctly account for taxes. 4. Click the arrow to force the webpage to refresh with all of the special taxes for Georgia. 5. Select all special taxes that apply. 6. Click Save to save the settings. To configure AvaTax, you will need to log into your account on their website at https://admin-development.avalara.net/. After logging into your AvaTax account, you will need to setup tax codes. These steps will help you setup tax codes for your company's use. 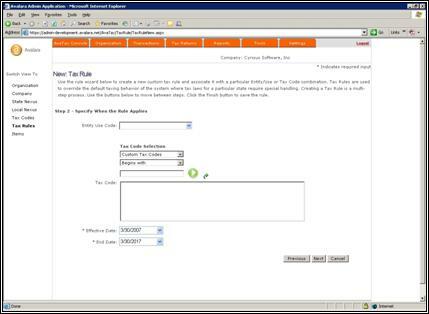 Beginning with the next screen, you will be able to create new tax codes. Click “New” to create a new tax code. 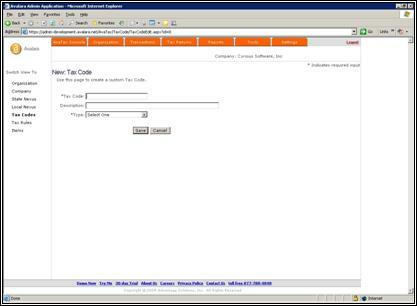 On this screen, you will create the tax codes that will be used by your company. 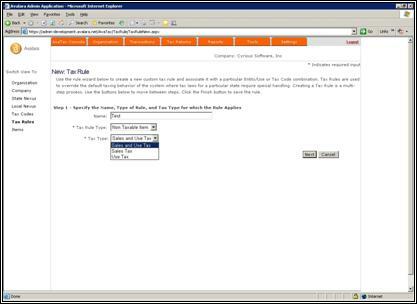 Select a name for the tax code (usually the item that will be taxed) and a short description. 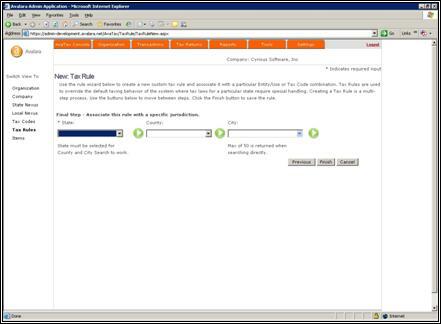 The next few screens will take you through a Tax Rule Wizard to help set up custom tax rules. First, you will need to name the tax rule. Here is where you will specify any special tax rules, such as needing to override a tax code. and then the Tax Type. For this next step, you will specify when the tax rule applies. On this step, the only required fields are Effective Date and End Date, but you may want to get more detailed. Specify the base percentage for this tax rule. and city (where applicable) for this tax rule. Earlier versions of Control did not have an online lookup for taxes. Individual products could be exempted from specific tax accounts (e.g., exempting installation products from GST in Canada), but this had to be done for each product manually. With Control 4.0, each product is now assigned a Taxability Code. The taxability codes correspond to either the online Taxability Code or handle any product based tax exemptions. Goods: Defaults to fully taxable. Use this taxability code for tangible products that are manufactured items. This corresponds to the AvaTax code “Goods”. Services: Defaults to non-taxable. Use this taxability code for intangible products such as design, consulting, training, etc. This corresponds to the AvaTax code “Services”. Resold Items: Defaults to non-taxable. Use this taxability code for tangible products that are purchased for resale. This corresponds to the AvaTax code “Resold Items”. Shipping: Defaults to non-taxable. Use this taxability code for shipping and freight products. This corresponds to the AvaTax code “FR020100”. Installation: Defaults to non-taxable. Use this taxability code for installation related charges. This corresponds to the AvaTax code “Installation”. When migrating from earlier versions, Control 4 will automatically create Taxability codes for products that have any exemptions from specific taxes. These products will then be assigned the appropriate taxability code. Unfortunately, Control can't determine which pre-defined taxability category is best for the products without unique taxes exempted. Therefore, all fully taxed products are assigned to the Taxability Code “Goods”. Likewise, all tax exempt products are assigned to the Taxability Code “Services”. Warning: If you are using Avalara Online Tax Lookup, you should immediately verify that your products Taxability Codes are set accurately or your orders may not calculate taxes correctly. 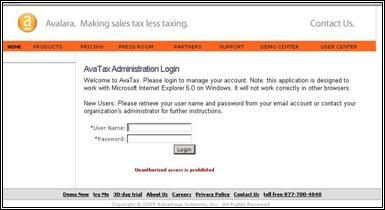 Congratulations, you have installed Control's online tax lookup through Avalara. What you will quickly discover is that all of your existing customers have their taxes set, but you may want to switch them. Control does not automatically assume that all of your customers should be changed to online tax lookup. Often, you will only want to change select customers. If you DO want to change all of your customers, however, Control can take care of that for you. 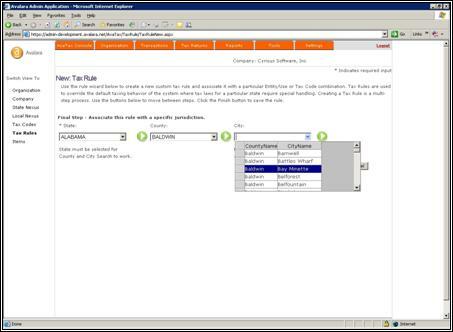 Simply Navigate to System Setup, and locate the “Online Tax Options” under the Accounting section. You will see a button labeled “Set All Companies to Use the Online Tax Class”. If you click on this, Control will (after prompting of course), reset all of your customers that are not tax exempt to use the online tax lookup. 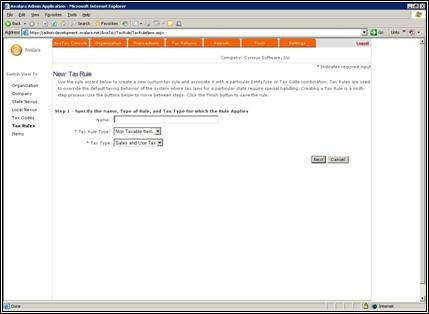 A second button on that same screen is labeled “Set Online Tax Class as Default and Set the Others Inactive.” The button disables all other tax classes and makes the Online Tax Class the default. This will not affect existing customers, but when you create a new customer you will only be able to select the Online Tax Lookup option. 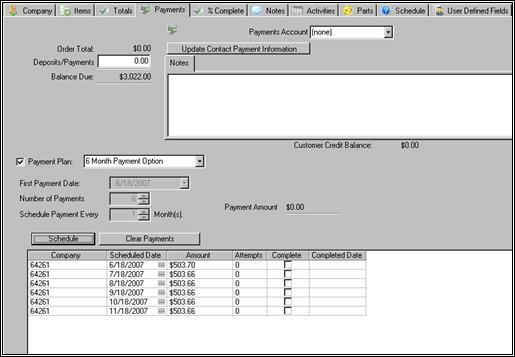 Alternately, you can make the same (or other) changes manually by navigating to the Tax Classes setup also in System Setup under Accounting. Payment terms for your vendors will also need to be setup. You can set these up by going to Setup > System Setup and locating Payment Terms under the Accounting section. Fees Based on Sale Date to compute interest based on the original sales date. If this is not checked, interest is calculated based on the late date (the sale date plus grace period). In certain locations, fees may only be assessed based on the late date. Compound Interest refers to computing interest on the total due (including previous interest). If this is not checked, interest is only computed on the original principal amount. Prompt for Deposits on Order Save prompts the user to enter a payment when an order is first saved. Payment Terms can be set up for you to use with your Accounts Payable (A/Ps), for your customers to use in paying your Accounts Receivable (A/Rs), or for both. You can also set this Payment Term as the default for A/R's or A/P's, or both, by clicking either the Set As Default A/Rs Terms button or Set As Default A/Ps Terms button. Last, each Payment Term can have its own Invoice Message for the bottom of the (standard) invoice. You can also enter different Statement Text to use on customer statements. The text used is based on age of the customer's oldest receivable. Payment plans can be setup for invoices that will have multiple payments. To setup a new payment plan, go to Setup > System Setup and locate Payment Plans under the Accounting section. 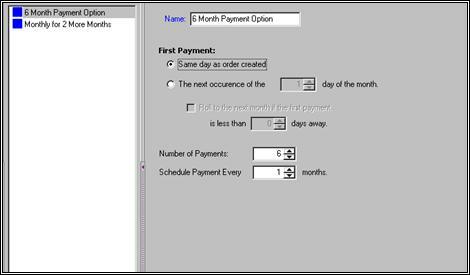 Click the New button on the right, put in a Name for the payment plan, such as 6 Month Payment Option, and fill in the rest of the options to reflect when the payment should be run (in this case, the same date the order was created), number of payments (6), and frequency (every month). Once you have completed setting up the options for your payment plan, click Save. You can schedule payments using a payment plan by opening an order and going to the Payments tab. Click Edit, and then click the checkbox next to Payment Plan. You can select a payment plan from the list, for example 6 Month Payment Plan, and click Schedule. The total amount will be divided into 6 equal monthly payments. If you have negotiated a payment plan that is not divided into equal payments, such as 60% - 30% - 10%, you will need to schedule those a little differently. Choose Custom in the Payment Plan list, enter the number of payments and frequency, and then click Schedule. This will schedule equal payments, and you will need to edit the amounts (and possibly the dates) to reflect what the customer has agreed to pay. If you need to start over, simply click Clear Payments; this will clear any payments that have been scheduled. For franchises that use Control, several different royalty plans are supported. The simplest plan allows for two percentage based assessments. Enter the names and appropriate rates on this screen. For use of the royalty options, please consult Cyrious Technical Support or your franchise operations. 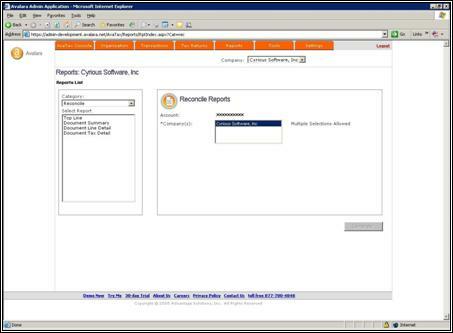 For increased efficiency, Cyrious supports online credit card processing. 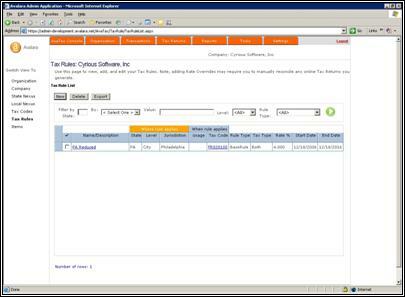 The software configurations for each merchant vary and may utilize different software. For information on settings for your merchant, refer to the setup documentation that came with the purchase of the credit card module. 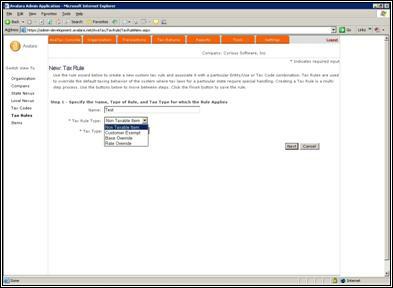 Note that you will not see a section for Online Credit Card Options unless you have purchased the credit card module.